Dr Fasel received his Master’s degree in Communication Systems in 2012 from Ecole Polytechnique Fédérale de Lausanne (EPFL). He also completed a Master’s thesis at Stanford University in the Biomotion Lab under the direction of Prof. T. Andriacchi where he worked to develop statistical methods for analysing cartilage thickness distributions in the osteoarthritic knee. In 2017, he completed his PhD in Electrical Engineering at the Ecole Polytechnique Fédérale de Lausanne (EPFL) under the direction of Prof. K. Aminian and is now working as a scientist at the same lab. During his doctoral thesis, Dr Fasel developed and validated multiple methods to measure human movement outside of the lab with inertial sensors, with applications to over-ground walking, cross-country skiing and alpine ski racing. He is interested in designing simple systems that can be used in-field by coaches and athletes during regular training sessions and how to extract meaningful information from the measured movements. 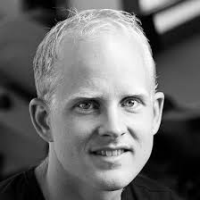 Dr. Sandbakk is a Professor at the Department of Neuromedicine and Movement Science, Norwegian University of Science and Technology, and Managing Director at the Center for Elite Sports Research. 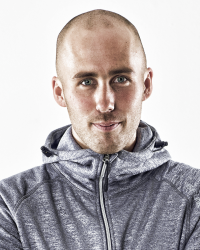 His research focus on improving the understanding of elite sports performances, by investigating integrative physiology and biomechanics, the effects of strength and endurance training, as well as the utilization of new technology to gain further understanding of these aspects in real-life environments. He is also head of research and development at the Norwegian Olympic Sports Centre, Region Mid-Norway, and therefore works on a daily basis with coaches and athletes and to optimise the interaction between research and "best practice". 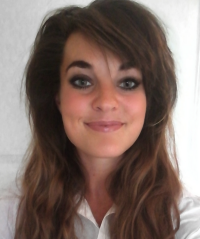 Dr Siobhan Svendsen graduated from Loughborough University in 2016 with a Ph.D in exercise immunology. Her research focused on identifying which factors influence immunity and infection incidence in elite endurance athletes (specifically cyclists and cross-country skiers), and to what extent these factors can be manipulated to reduce the number of days of training and competition lost to illness. In 2010, she started working as a consultant for the Norwegian Olympic Training Centre (Olympiatoppen), where, since finishing her Ph.D, she currently has a fulltime position as a physiologist specialising in endurance training. 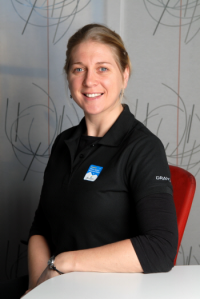 She works closely with Olympic and Paralympic athletes from both winter and summer endurance sports, with a particular focus on physiological testing, respiratory health, altitude training and heat acclimation. Why does sport need science? This introductory presentation will outline the role that sports science can play in enhancing performance, the challenges involved in translating science into practice (and vice versa), and a look into the future for snow sports science. 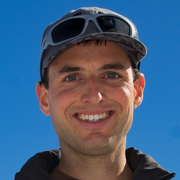 Dr McGawley is the Director of the Swedish Winter Sports Research Centre (NVC). She graduated from Loughborough University (UK) with a Bachelor of Science in Sports Science and Mathematics before completing a Master of Science in Sports Science at the University of Western Australia. She then went on to complete her PhD in Endurance Performance and Physiology at the University of Brighton (UK), before working at the University of Bath (UK) as a lecturer in Sports Science for two years. Kerry moved to Östersund in 2011 to work as a post-doctoral researcher at the NVC for two years, working alongside Professor HC Holmberg, before taking up a full-time teaching and research position at Mid Sweden University. She has published widely in the field of sports physiology, testing and training and is specifically interested in the application of sports science to enhance performance. Lars is performance analyst who joined the Swedish Olympic Committee in 2011. Lars specialises in video analysis and has consulted for a number of Olympic sports including cross-country skiing and biathlon. He is currently working with the technical and tactical preparation of skiers competing in the PyeongChang Winter Olympics in February.